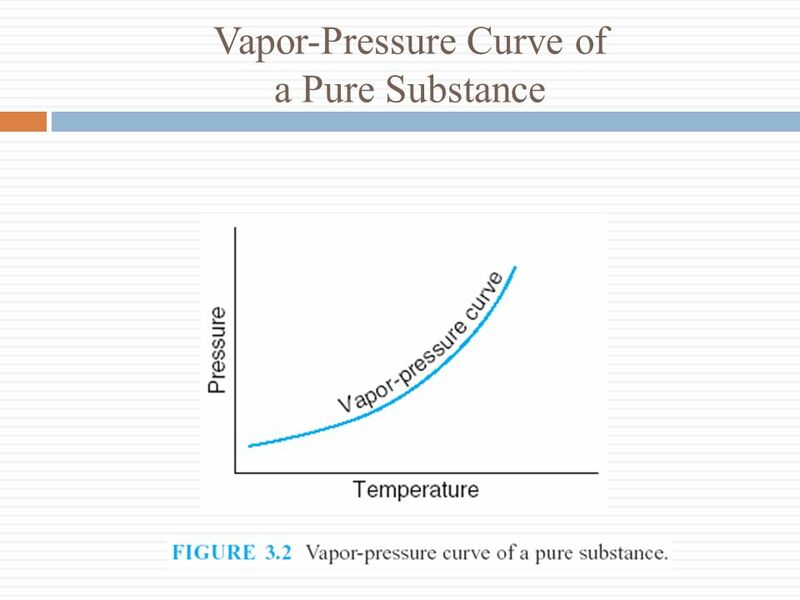 2 3-1 The Pure Substance A pure substance is one that has a homogeneous and invariable chemical composition. 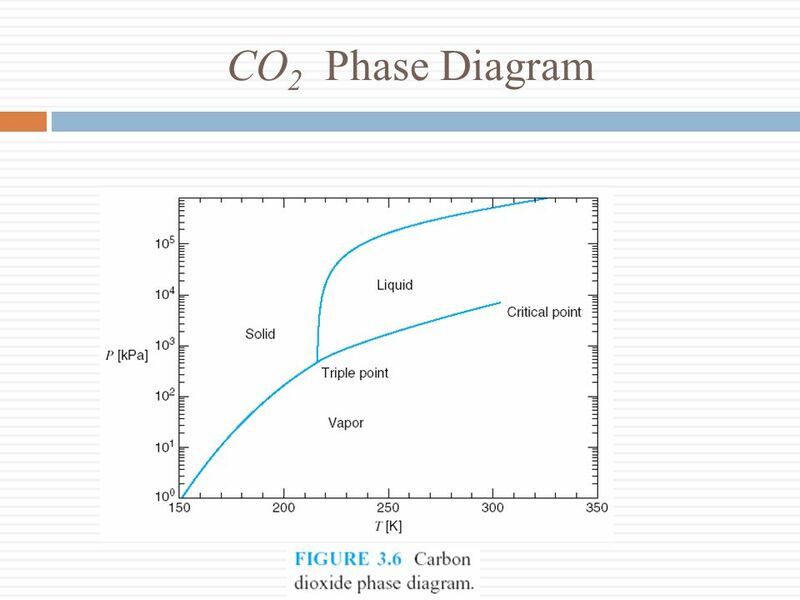 It may exist in more than one phase, but the chemical composition is the same in all phases. 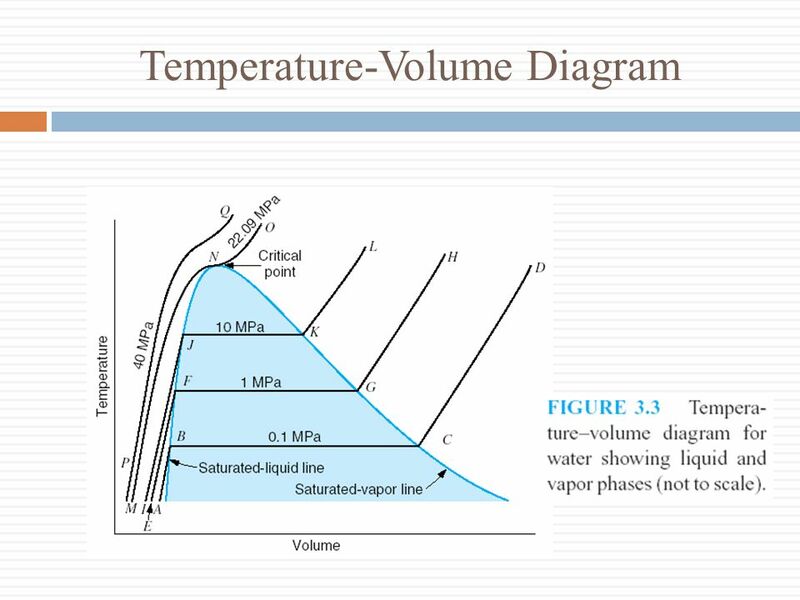 The term saturation temperature designates the temperature at which vaporization takes place at a given temperature. 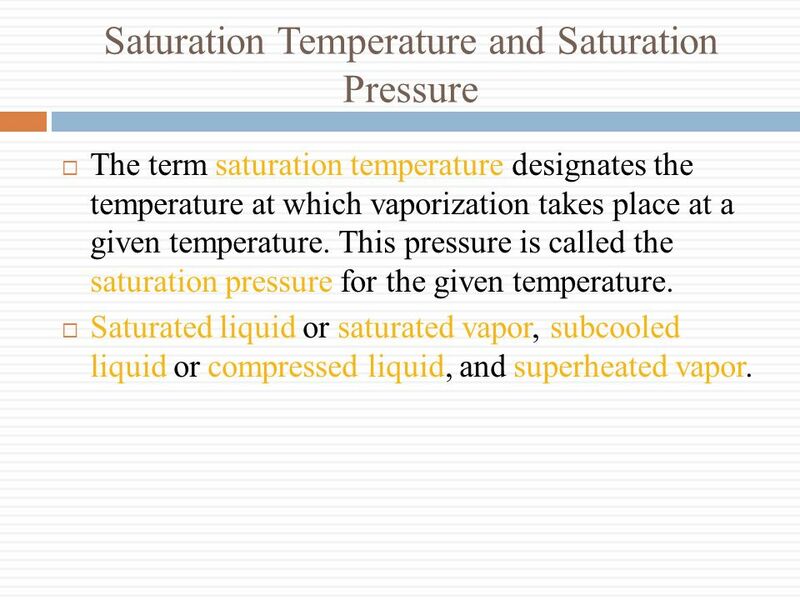 This pressure is called the saturation pressure for the given temperature. 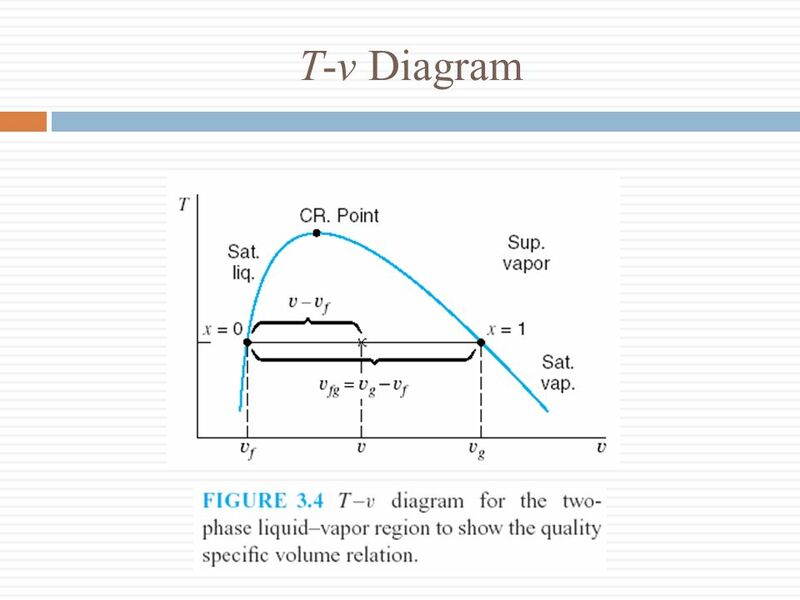 Saturated liquid or saturated vapor, subcooled liquid or compressed liquid, and superheated vapor. 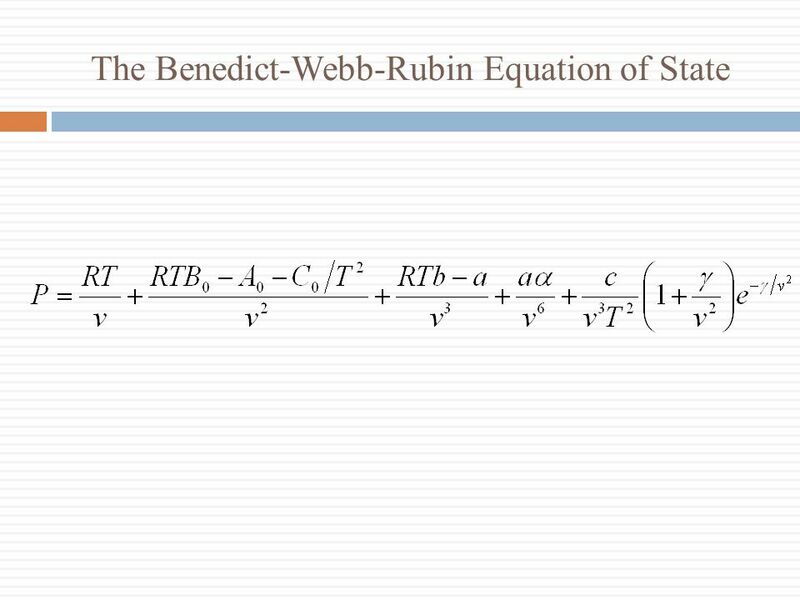 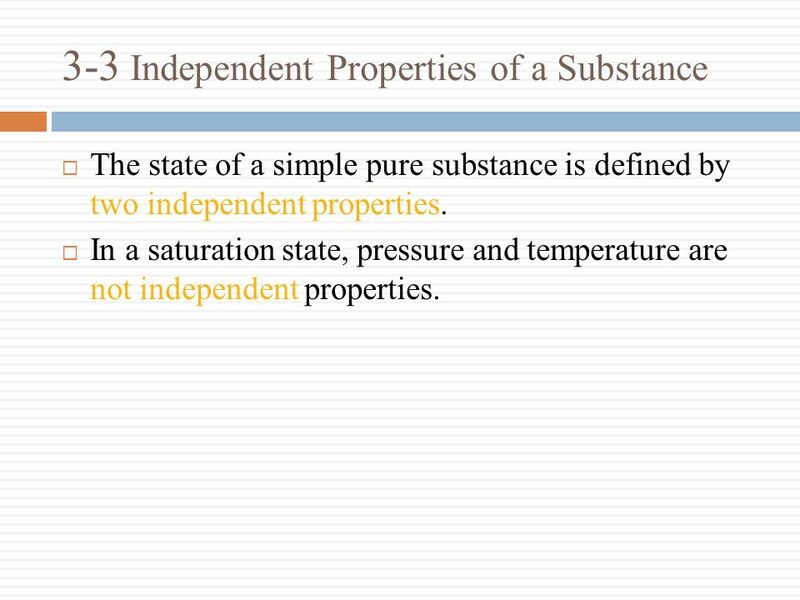 The state of a simple pure substance is defined by two independent properties. 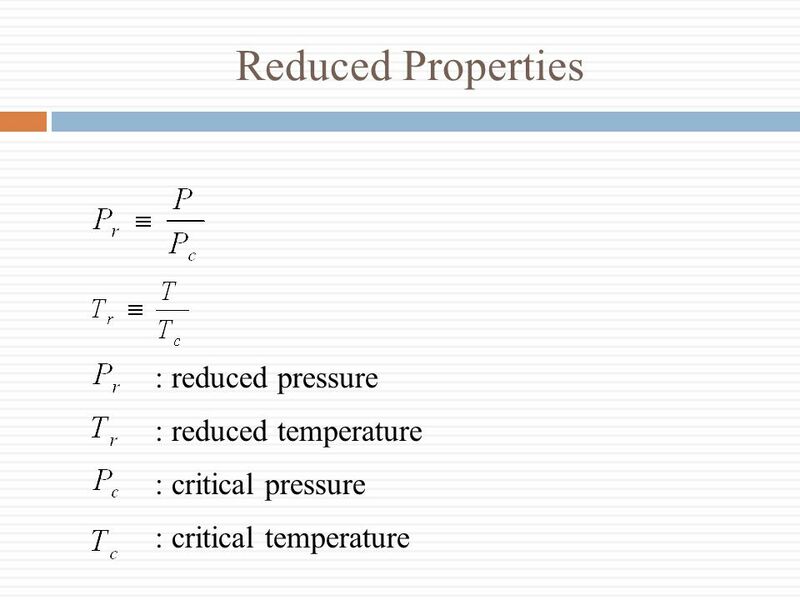 In a saturation state, pressure and temperature are not independent properties. 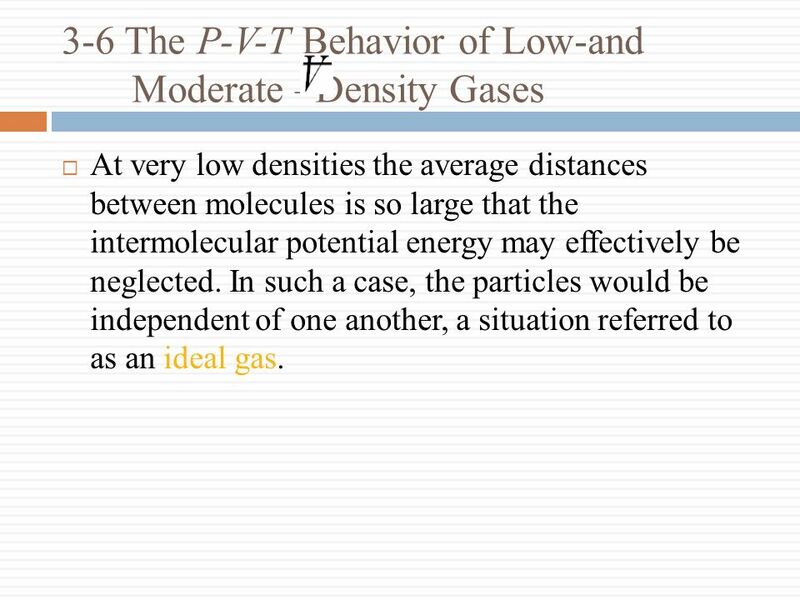 At very low densities the average distances between molecules is so large that the intermolecular potential energy may effectively be neglected. 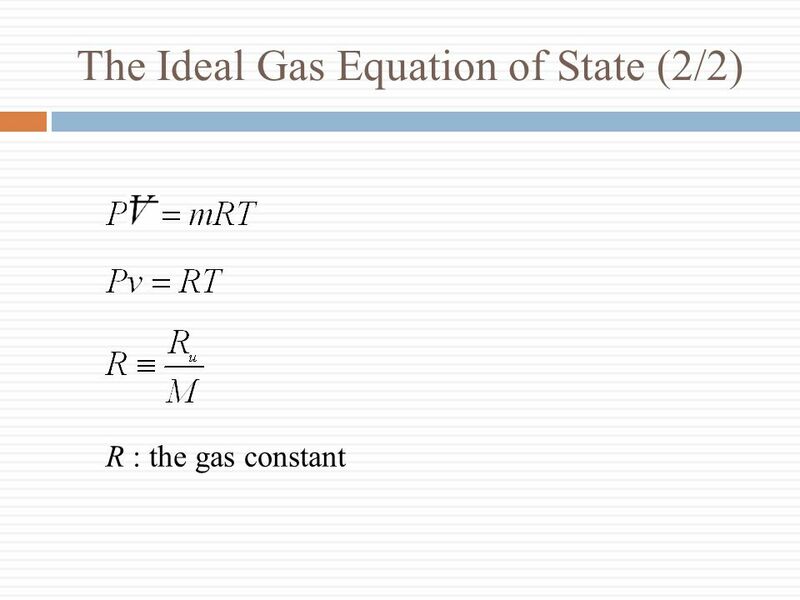 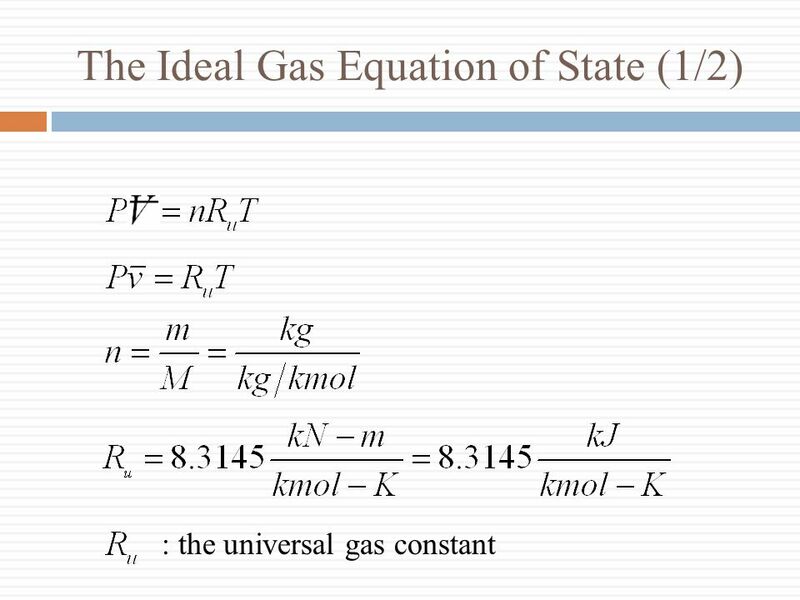 In such a case, the particles would be independent of one another, a situation referred to as an ideal gas. 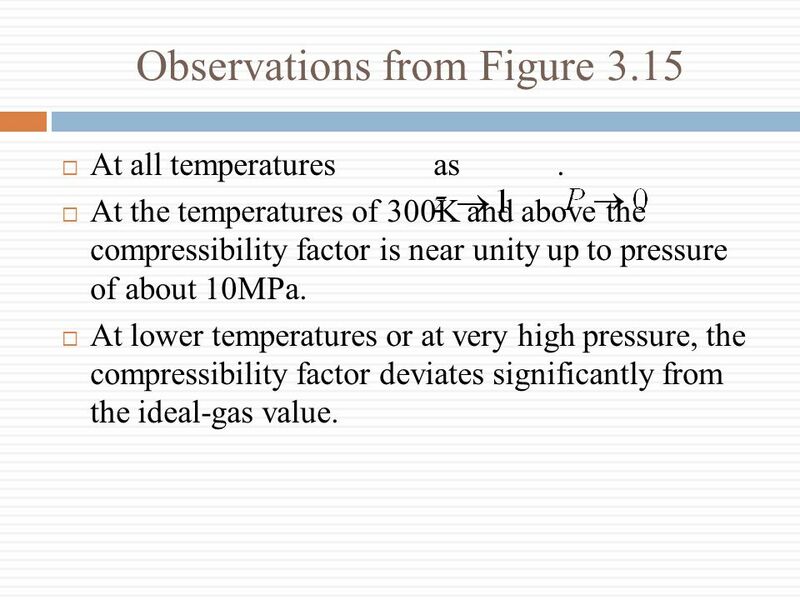 At all temperatures as At the temperatures of 300K and above the compressibility factor is near unity up to pressure of about 10MPa. 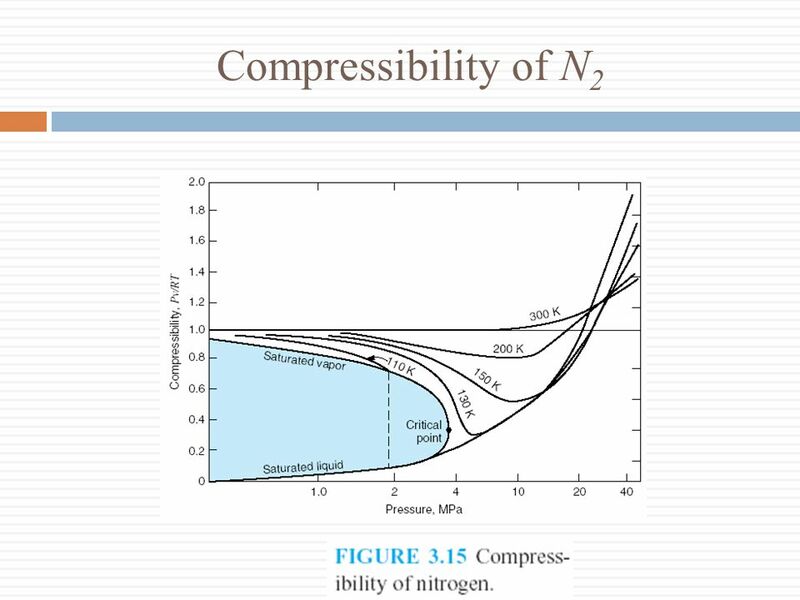 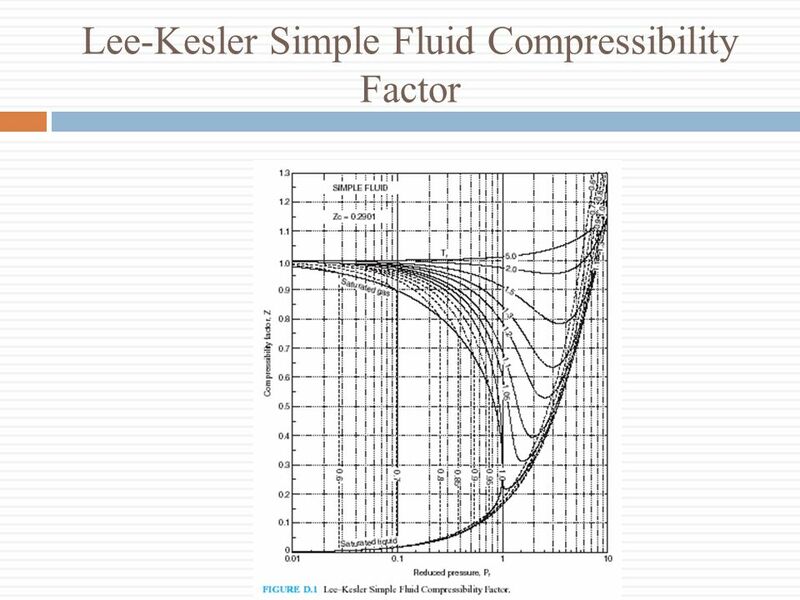 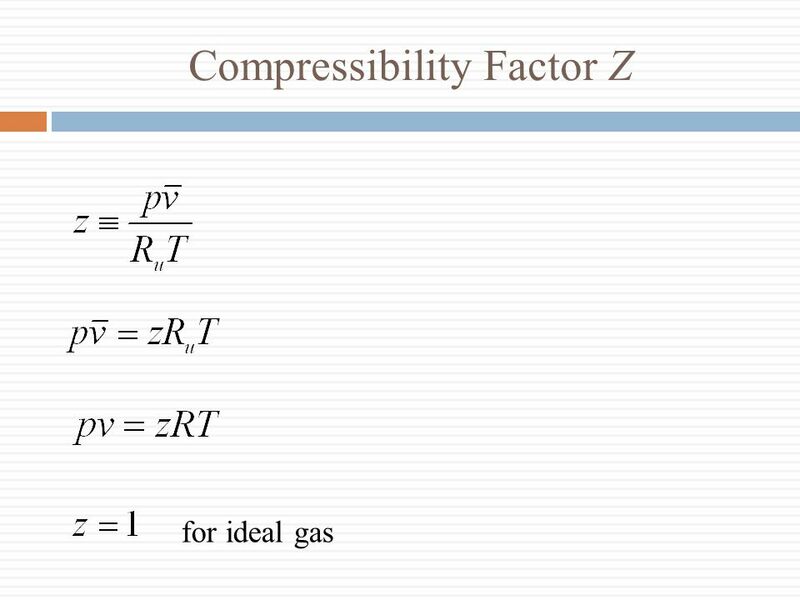 At lower temperatures or at very high pressure, the compressibility factor deviates significantly from the ideal-gas value. 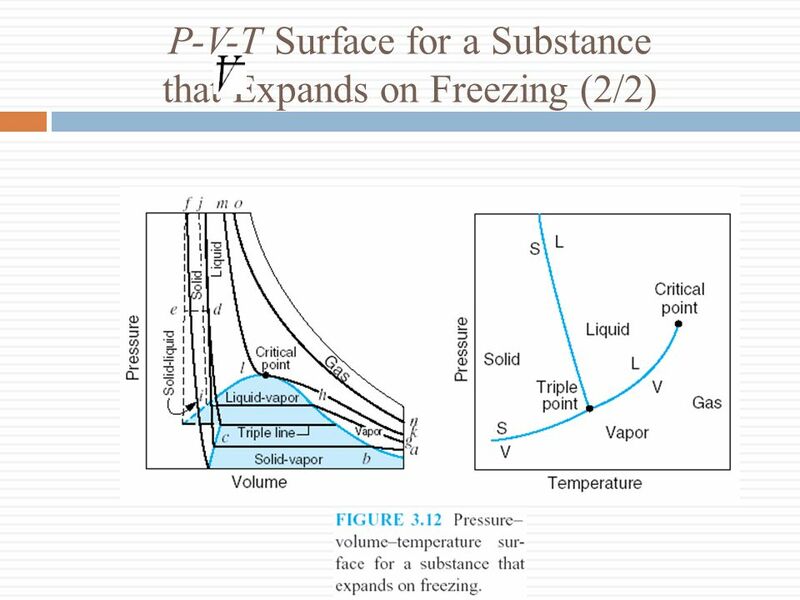 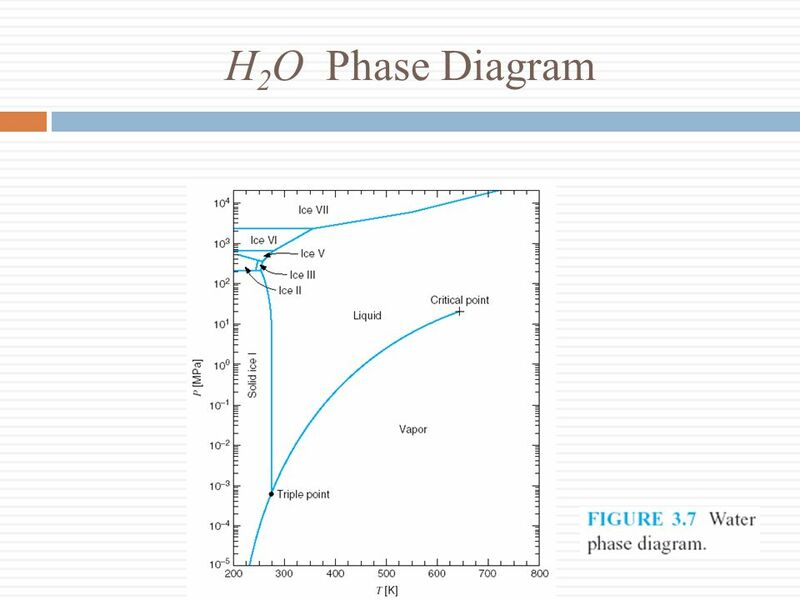 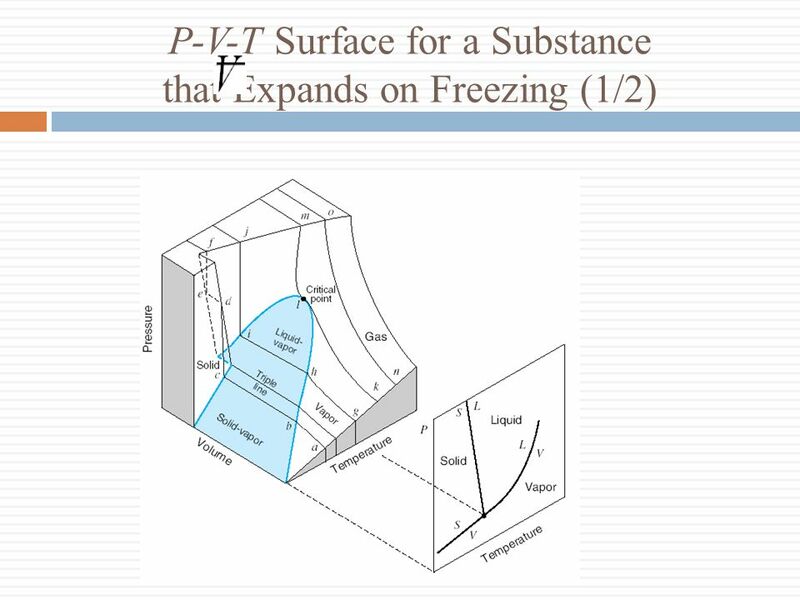 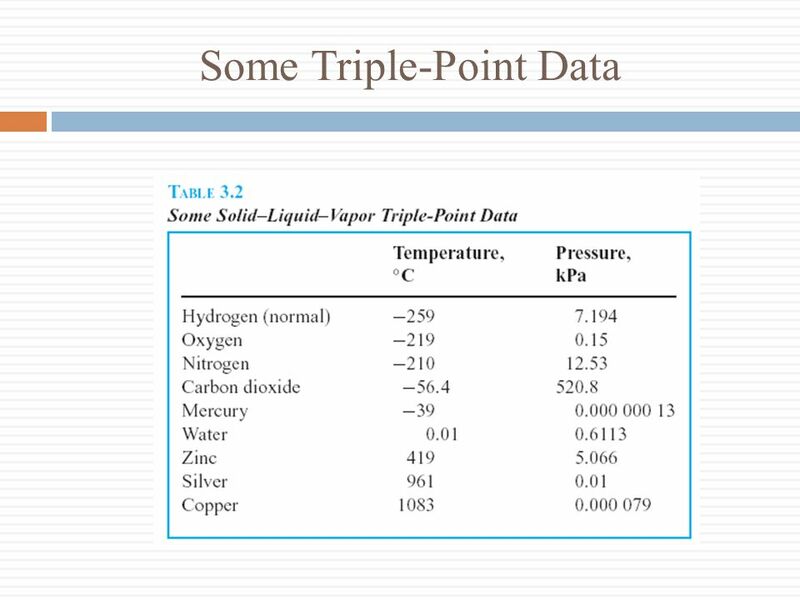 Download ppt "Properties of a Pure Substance"
A third temperature scale has been developed, which relates the temperature changes to pressure changes for a fixed volume of gas. 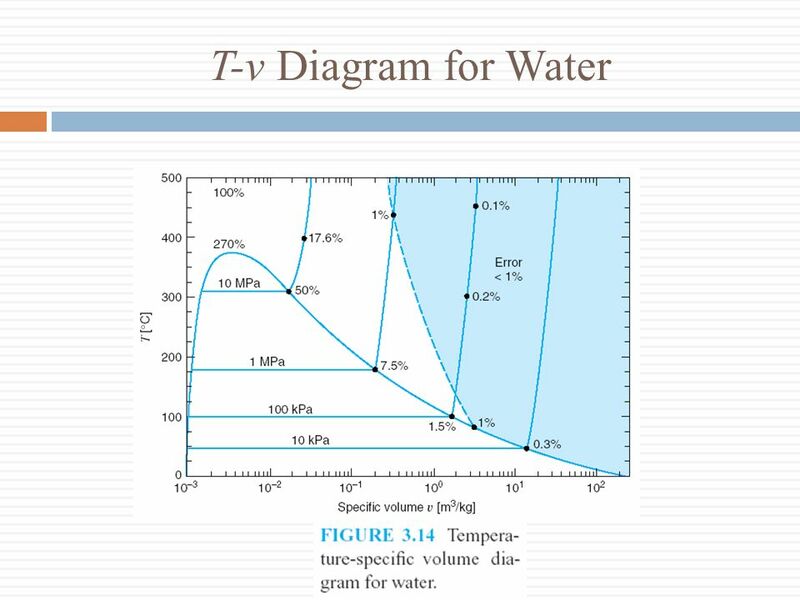 This scale is not based. 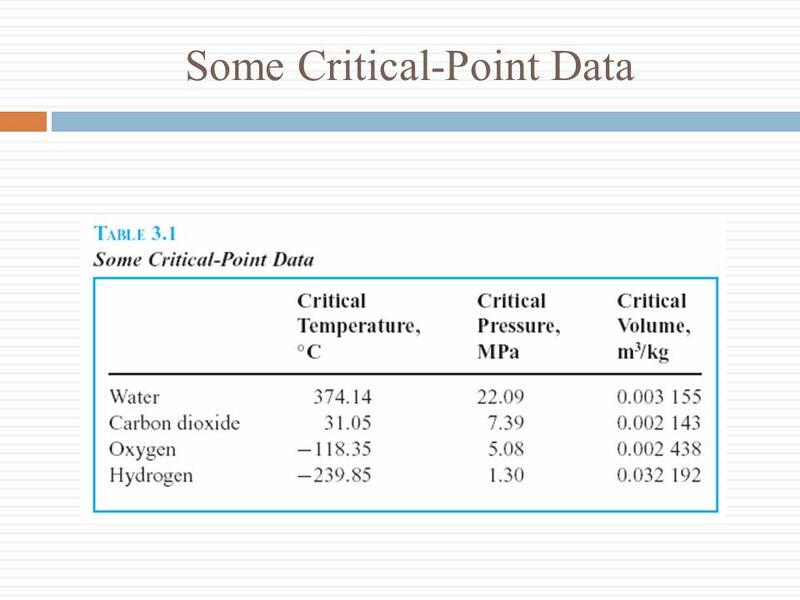 حرارة وديناميكا حرارية المحاضرة الرابعة د/عبدالرحمن لاشين قسم الفيزياء - كلية العلوم التطبيقية – جامعة أم القرى - المملكة العربية السعودية قسم الفيزياء. 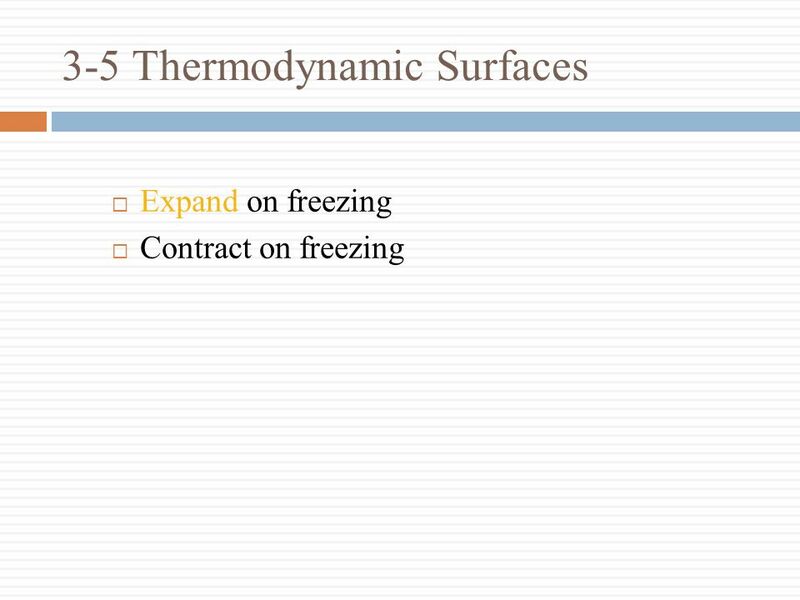 Instructor’s Visual Aids Heat Work and Energy. 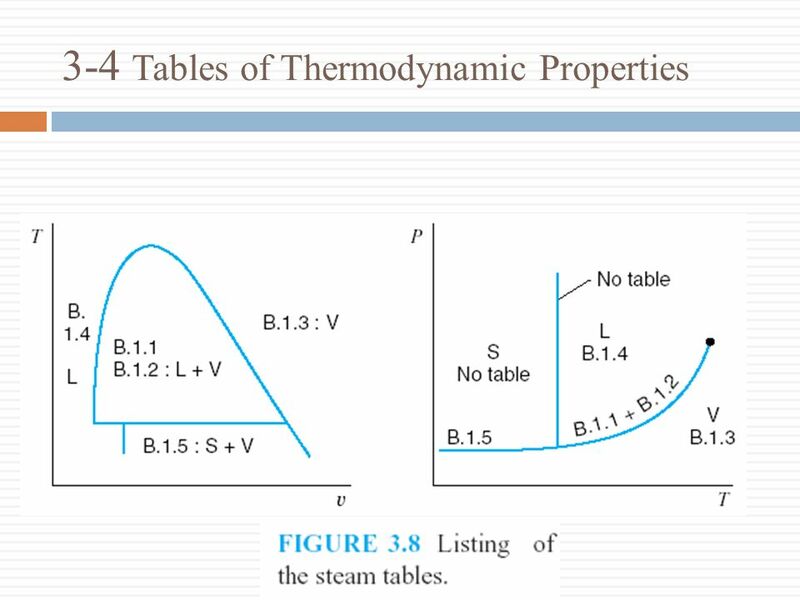 A First Course in Thermodynamics © 2002, F. A. Kulacki Chapter 2 Module 2 Slide 1 Additional Aspects for. 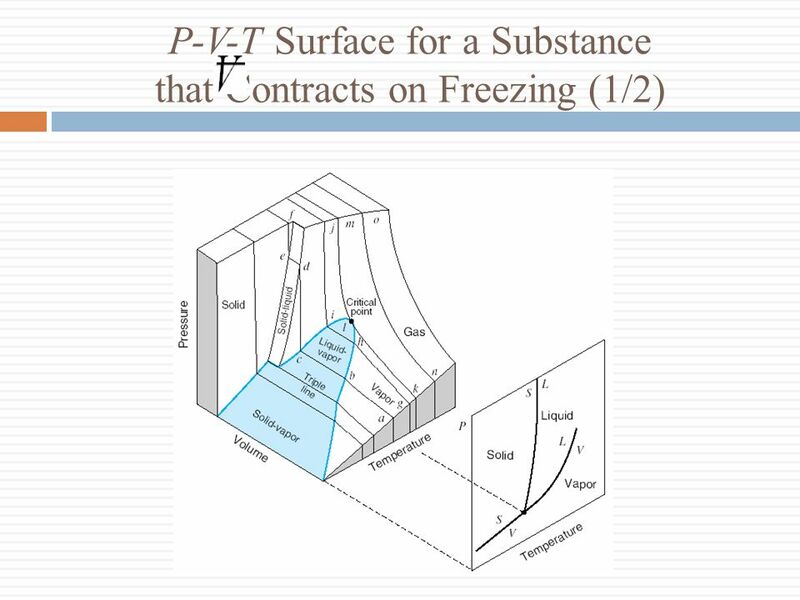 Pure Substances Thermodynamics Professor Lee Carkner Lecture 5. 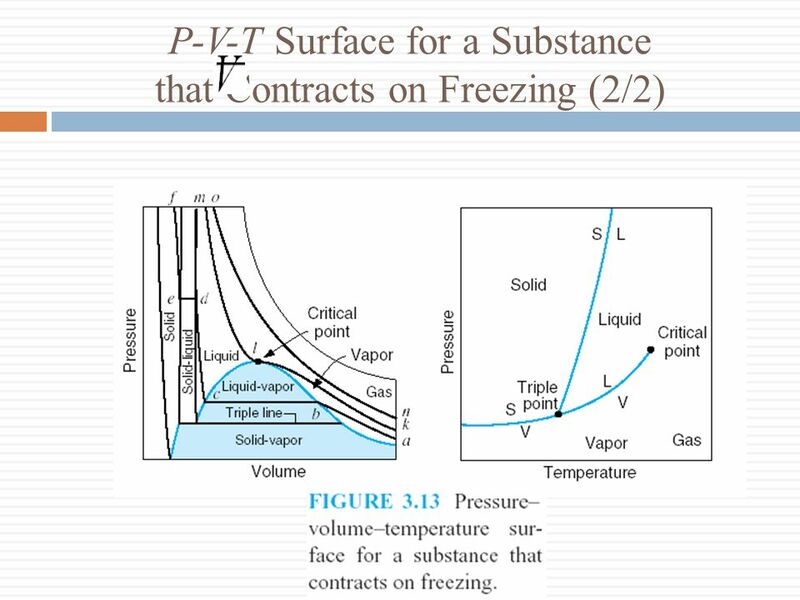 ME1521 Properties of Pure Substances Reading: Cengel & Boles, Chapter 2. 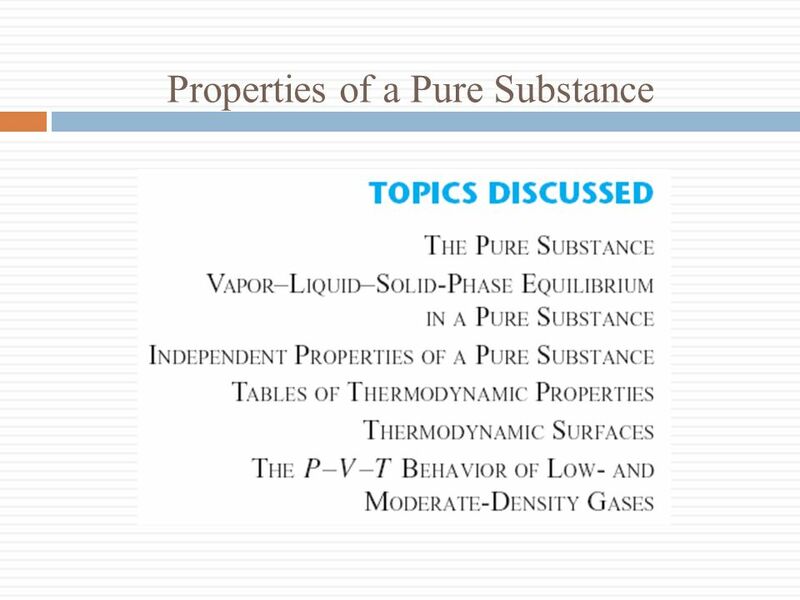 CHAPTER 3 Properties of Pure Substances 純質的性質. 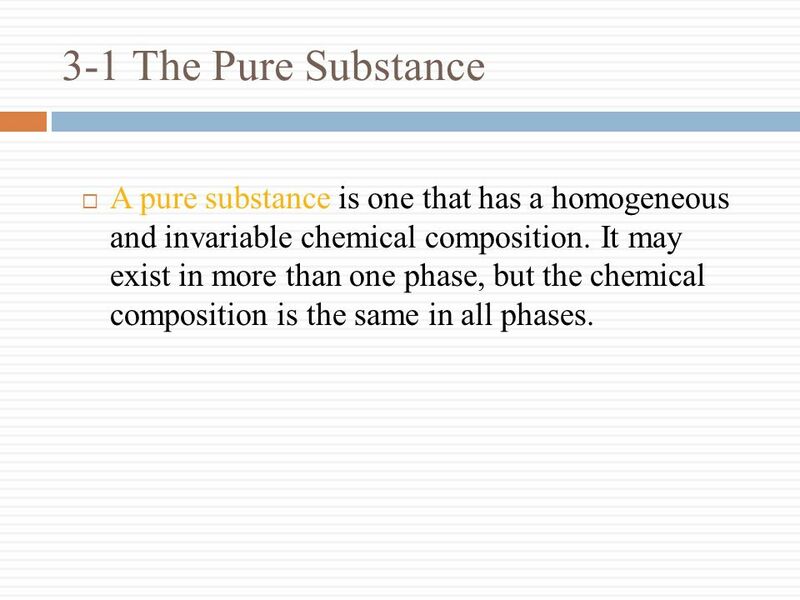 3.1 Pure Substance 純質  A substance that has a fixed chemical composition throughout is called a Pure Substance. 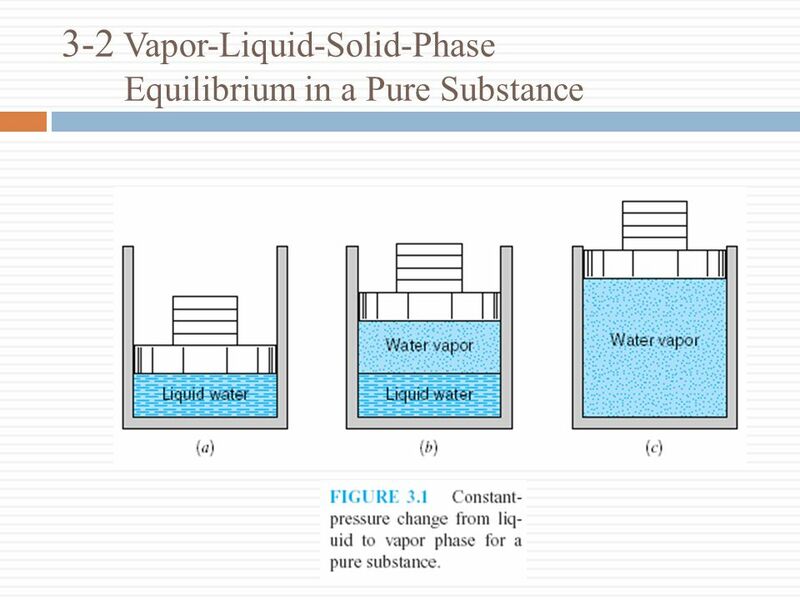 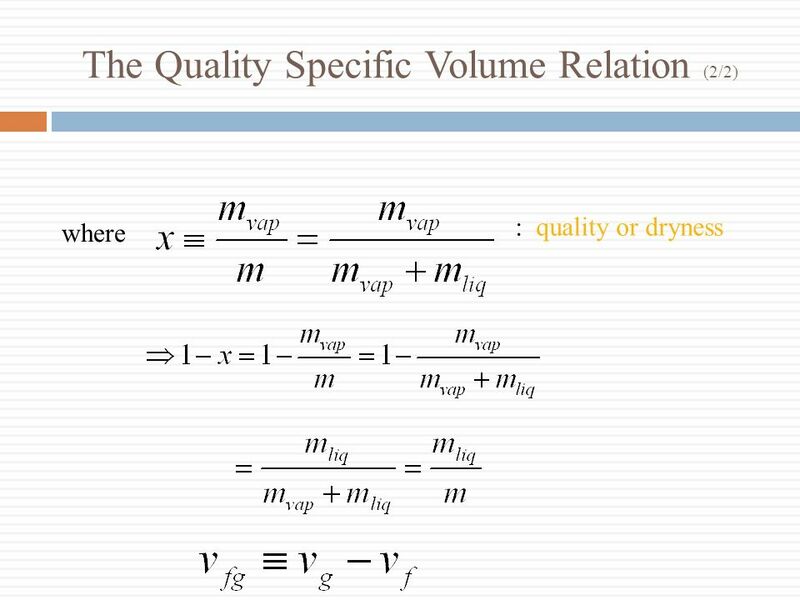 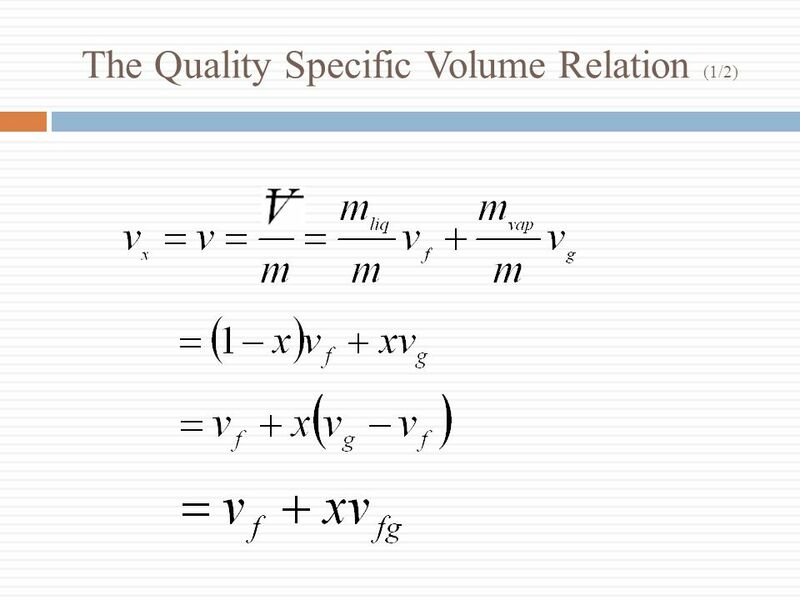 Section 4 -Phase Equilibrium Two-Phase Systems A system is a set of components that are being studied. 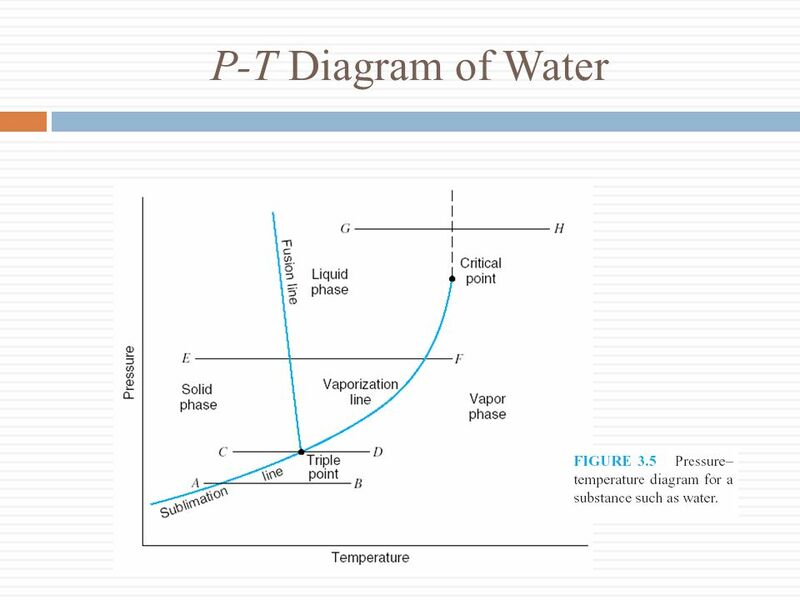 Within a system, a phase is a region that has the.